ENGAGE is a modern automotive Up System, providing the dealership accountability of the sales staff, allowing them to be more productive working their follow up, and providing you visibility of the in-showroom customer journey. CLICK ANY OF THE FEATURES ON THE SMARTPHONE TO LEARN MORE OR HEAR DIRECTLY FROM ONE OF OUR CLIENTS BELOW. Power Rotation creates a fixed amount of time sales staff would be required to cover the point. Once fixed amount of time is met the sales staff in the up system are rotated. Sales - Allows sales staff to know amount of time they will be on point. Keeps the list fresh and allows sales staff to work on follow-up. Management - Holds all sales staff accountable to be ready for customers at all times. Also ensures all customers are greeted promptly by the sales team. Customer - Being greeted by prepared sales staff provides a great first impression for the customer when they visit your dealership. Sales - Aggressive appointment setting sales staff get more fresh opportunities. Management - Encourages sales staff to set more appointments and stop living solely on the marketing efforts of the dealership. Customer - Sales staff can focus on their returning customer and not be concerned about missing walk-in opportunities. 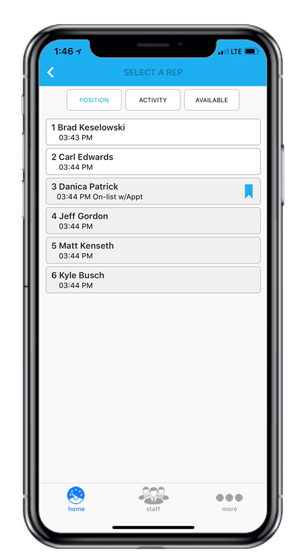 Position hold enables sales staff to maintain their position in the Up System while they are with an appointment, be-back or delivery. Once finished with that customer, they will return at the highest designated hold position in the queue. 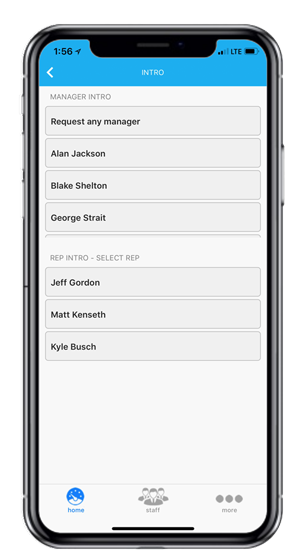 Manager intro allows sales staff to request manager assistance when needed. Managers are then alerted of the request and can accept. Nextup will time stamp the introduction to track and report all management involvement. Sales - A simple way to request manager assistance without leaving the side of the customer. Management - Manager involvement not only raises your team's performance but increases closing rates. Customer - Management involvement, early and often, helps build rapport with the customer. Sales - Visibility into all appointments set at future time and date. Management - View all upcoming scheduled appointments, deliveries, etc. Know true confirmed appointments that show. Customer - The dealership is going to be ready and prepared for that customer, building a more memorable visit. Sales staff can schedule future appointments and deliveries within Nextup that can be confirmed at time of arrival. 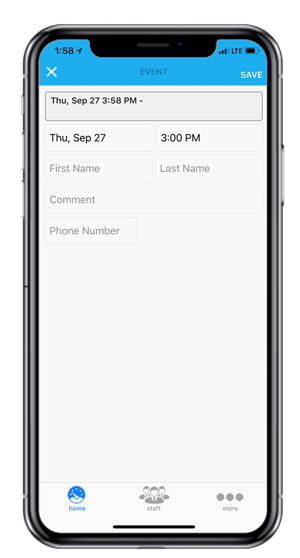 Scheduled events will display within the mobile app and reporting dashboards.